Why are we still delayed? Below is what the NPTB (BRICS) are doing to the OPTB (Cabal), as demanded by the APTB (Elders) per advise from the BPTB (Benevolents). 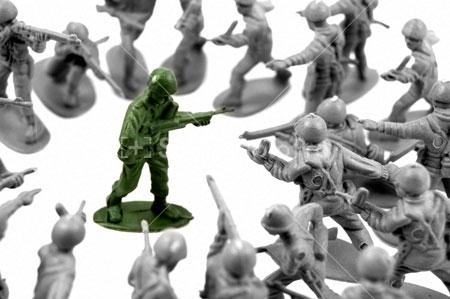 Encirclement is a military strategy for the situation when a force or target is isolated and surrounded by enemy forces. This situation is highly dangerous for the encircled force at a strategic level because it cannot receive reinforcements or supplies, and on the tactical level because the encircled force can be subject to an attack from several sides. Lastly, since the encircled force cannot retreat, unless it is relieved or can break out, it must either fight to the death or surrender. A special kind of encirclement is called the siege. In this case, the encircled forces are enveloped in a fortified position in which long-lasting supplies and strong defenses are in place, allowing them to withstand attacks. Sieges have taken place in almost all eras of warfare. In modern warfare, an encircled force that is not under siege is commonly referred to as a pocket. Sun Tzu and other military thinkers suggest that an army should be not completely encircled but should be given some room for escape, or the "encircled" army's men will lift their morale and fight till the death. It's better to have them consider the possibility of defeat. Once the enemy retreats, they can be pursued and captured or destroyed with far less risk to the pursuing forces than a fight to the death. The cabal has been slowly surrounded for decades now, worldwide, and the noose squeezes tighter with every passing hour. Starving out the corrupt and their leaders force governments back into s of the world including the United States of America, Incorporated is exactly what is playing out in real time. Is the RV immanent? Yes and no. Yes in that it can go at any time (West). No it that there's no time table for the complete surrendered the enemy (East). Which all depends on the encircled forces deciding when to surrender, not if (them) the pursing force will hold a firm attack position (us).